Pleased to see a home for my heroic fantasy piece, ‘Snatching the Lute’ published. It features the minstrel Leon of Clavellmeadow, a character I created in my Evyntyde universe, and where he discovers he isn’t the lady killer he thought he was. 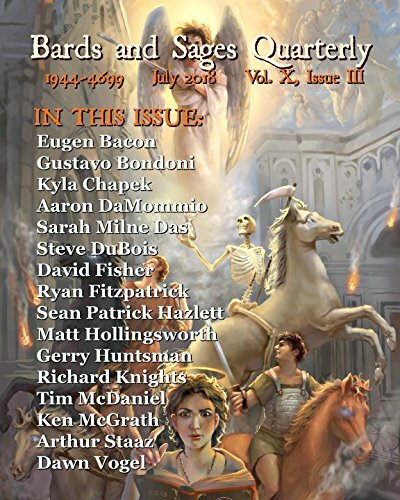 Very pleased to see my odd fantasy piece, 'Snatching The Lute', accepted by Bards and Sages Quarterly. This story is set in my Evyntyde universe, and it is always a pleasure to add stories into the marketplace from that milieu – the 10th in fact. It will be published in June 2015. 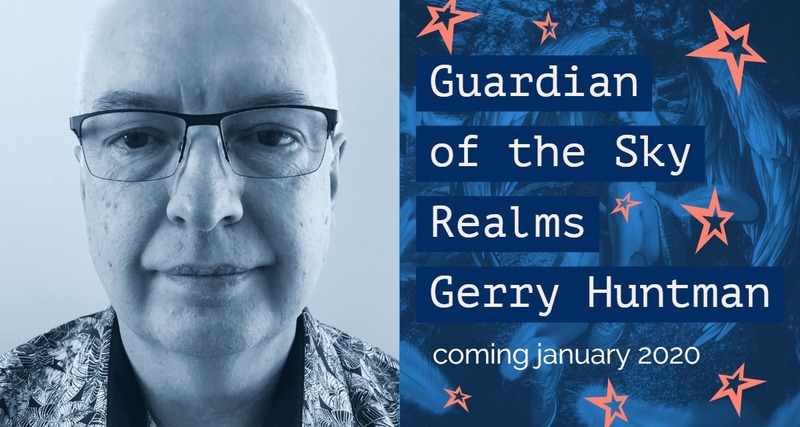 The release of my all-ages fantasy novel, Guardian of the Sky Realms, has been set for 30 November 2014 – only a few weeks away. In the meantime, the Kindle version can now be preordered at Amazon, DRM free. While I write a lot of horror/dark fantasy, and my greatest success seems to be in the science fiction field, I still get a kick out of epic/high/heroic fantasy. I've sold a few, but not as many as I would like. Today I sold 'Husks', an Evyntyde story, featuring Myleana, newly appointed second-in-charge to the King's Astrologer, Grisbier. She is powerful, insightful, resourceful, but she has a fatal weakness. This story determines whether she overcomes it, or succumbs. I believe the story will be published in only a matter of days. Pleased to have my fantasy story, Enryk's Trouble, published in the February issue of Frost Fire Worlds. This is another Evyntyde story, set during the older Waymoorian years. It makes a statement about gender roles. Also nice to have my name on the cover. If you want to purchase it, go to the publisher's web site. Market News: Young Adult fantasy story, Enryk’s Strife, accepted for Frost Fire Worlds. It seems Frost Fire Worlds like me, as this is my second sale to them. My fantasy piece, and Evyntyde story called 'Enryk's Strife' (harkening back to the Cockney Rhyme, 'trouble and strife', will be published in the February 2014 edition. While a classic heroic fantasy piece on the surface, it has to say something about gender roles. This took me by surprise. I knew my story was due to be published in November, but on a whim I double checked the site, and lo and behold! my story, The Wooden Tomb, is in Frost Fire World issue 2. Very pleased to have published this, as it is a little different – coming of age in an African village, a little bit of horror, and lot of fantasy. It's nice to have found a home for this story dear to my heart.